This rocket is one of our E2X - Easy to Assemble series that can be ready to fly in about an hour. 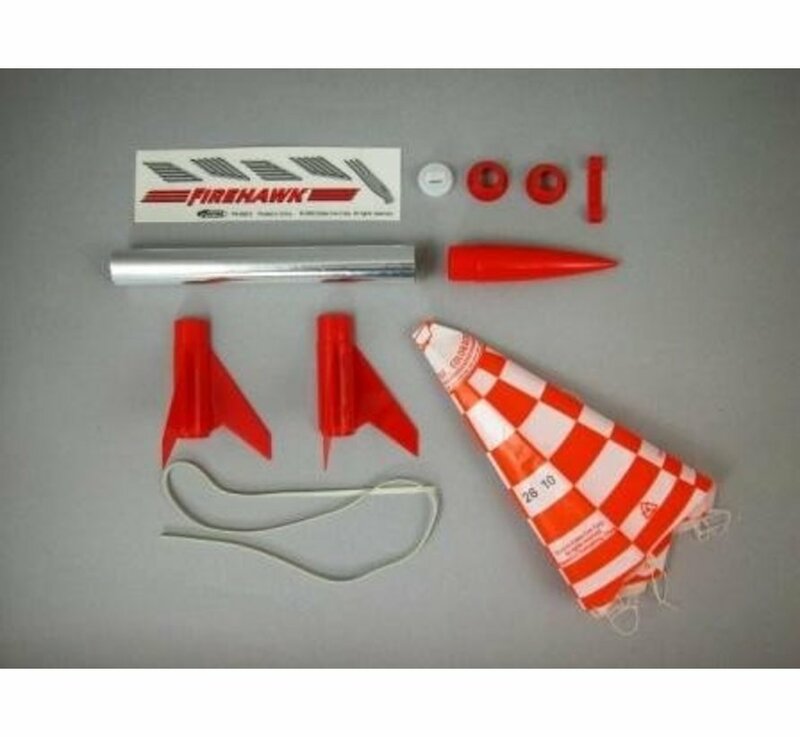 The plastic engine mount and easy to install fins are bright red and easily attach to the precolored silver body tube for quick assembly in less than 30 minutes. 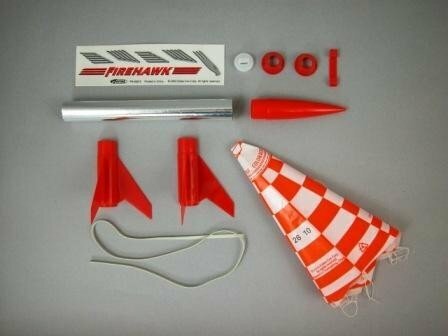 To complete the Firehawk, we've also included a colorful, self-stick decal set that enhances the looks of this mini missile. 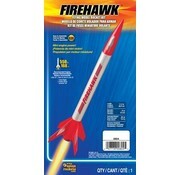 After a screaming, high altitude flight, the rocket returns gently on a colorful 12 inch preassembled parachute. 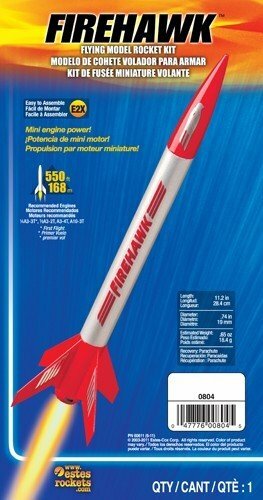 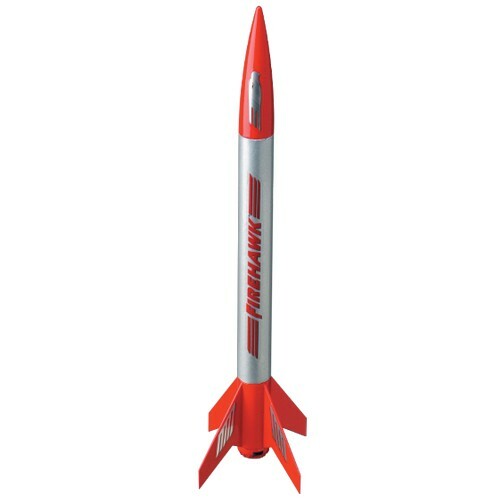 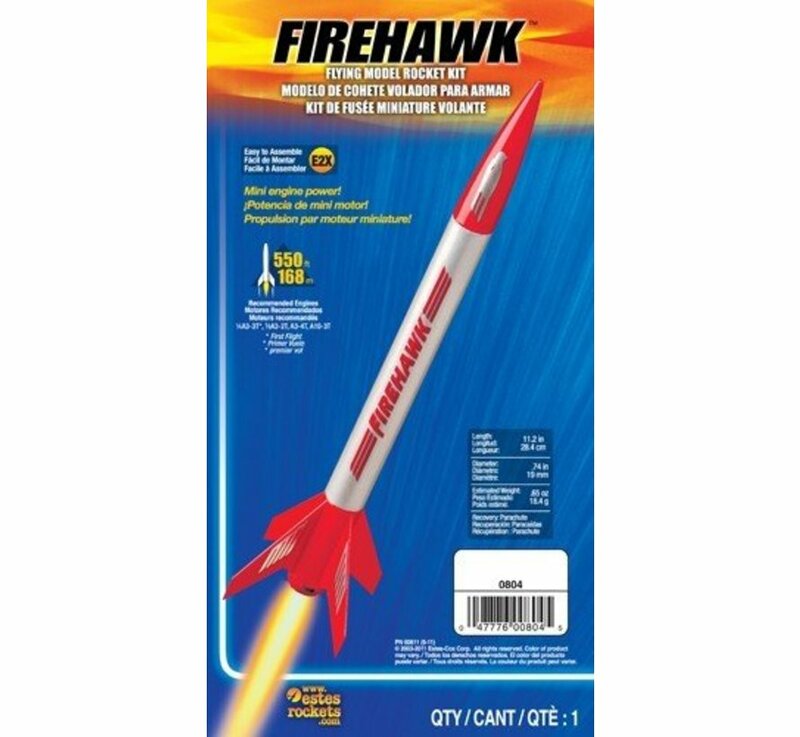 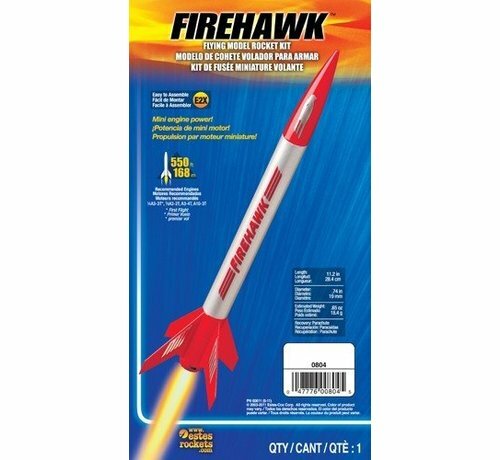 This rocket is a terrific model rocket and is ideal for scout, club or school activities.